Bad Luck Fale has a chance to make history tonight with New Japan Pro-Wrestling (NJPW). “The Underboss” will take part in a six-man tag team bout at NJPW Wrestle Kingdom 10 for the newly-minted NEVER Openweight 6-Man Tag Team Championship. Fale has fallen short in his last two Wrestle Kingdom matches, and will be looking to break the losing streak when he and Bullet Club stablemates Tama Tonga and Yujiro Takahashi take on The Briscoes and Toru Yano in the Tokyo Dome. The Bullet Club side has more experience as a trio than their opponents, but will still be challenged by Yano and ROH mainstays Jay and Mark Briscoe. The NEVER Openweight 6-Man Tag Team Championship is the first six-man tag team title to be introduced in NJPW history. 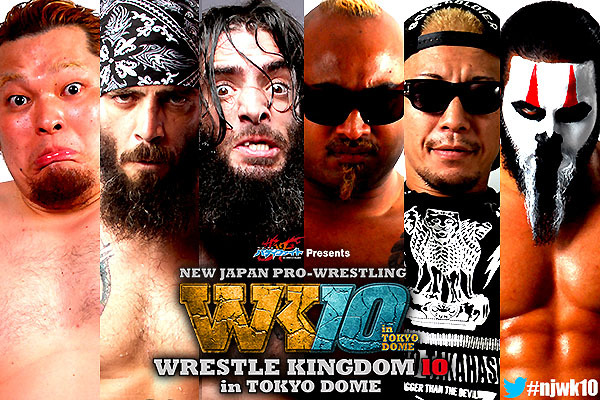 NJPW Wrestle Kingdom 10 airs live tonight, January 4, on NJPW World from 9pm.